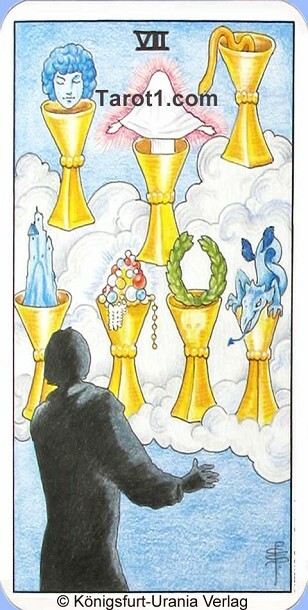 Your daily Tarot card for tomorrow Tuesday, April 23rd 2019 is Seven of Cups. Tomorrow you will dream a lot of things that you want to have and about situations that would progress in a different way, if you would have acted differently. Tomorrow you should take care a little bit, because if you are dreaming, you are easily influenced and gullible. If you are single then tomorrow you will meet a person, in which you directly fall in love.